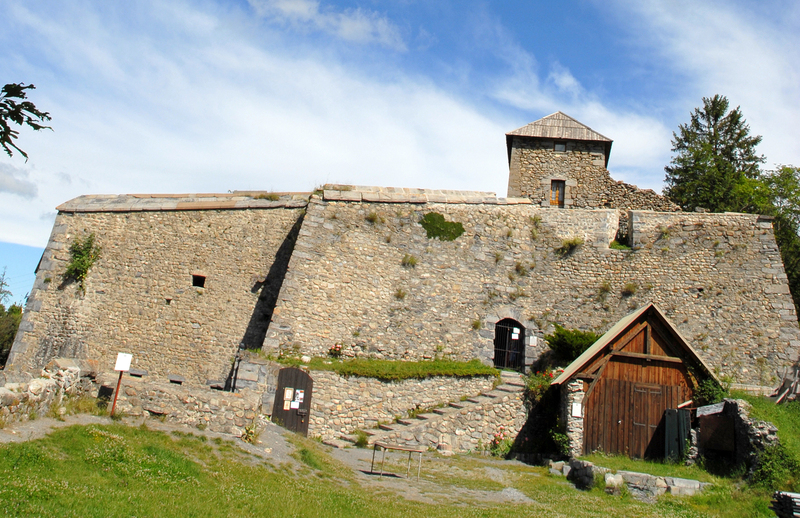 The Fortified heritage from Vauban to Maginot, 3 centuries of military architecture. 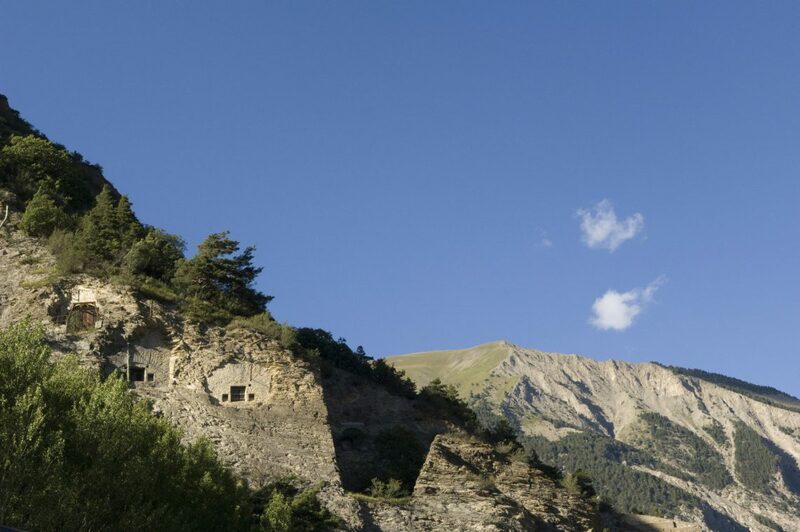 Vauban, a leading personality of military architecture, left his mark on many sites in the Alpes de Haute Provence. Maginot built an out-of-the ordinary military heritage. Visits to these fortifications located in the middle of magnificent larch forests or at the edge of alpine pastures make very interesting walks and are all accessible by means of often long but never difficult former military roads. Among the fortified villages, Colmars-les-Alpes, a historical town of character, illustrates the different types of fortifications. High in the Haut-Verdon, Colmars suffered in 1690 from attacks from Piedmont. The place, which had already been fortified by François 1er, needed strengthening. Niquet, general engineer of fortifications, set himself to the task and drafted the town plan. But Vauban was not far away, dispatched by Louis XIV and he was to complete the initial project. Colmars is today an exceptional model of its kind, with its old town enclosed by ramparts with pentagonal towers and flanked by two powerful forts, Fort de France and Fort de Savoie. The village is listed « Villages et cités de caractère ». 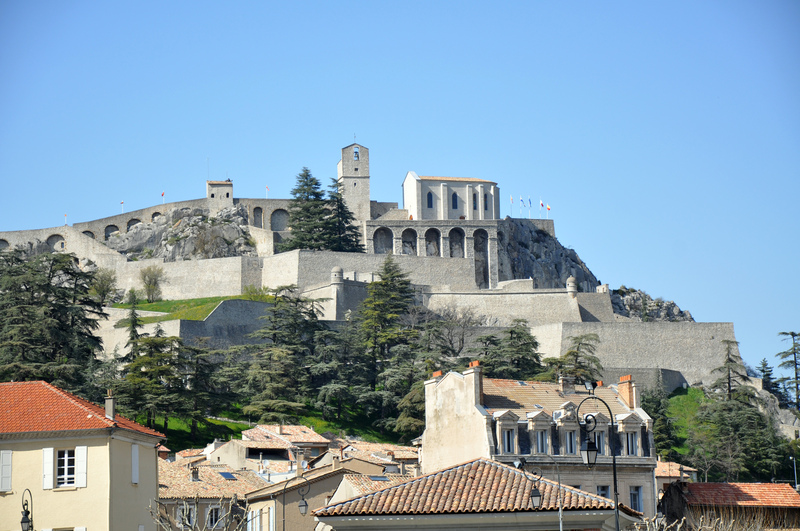 This fortified town between Nice and Digne-les-Bains is a little gem. Entrevaux, is a magnificent medieval village in a bend in the Var river, which you get to by means of a fortified drawbridge. It is also a vertiginous citadel perched 155 m above the town which you get to by means of a fortified ramp and around twenty bastioned gates. The town is listed « Villages et cités de caractère ». 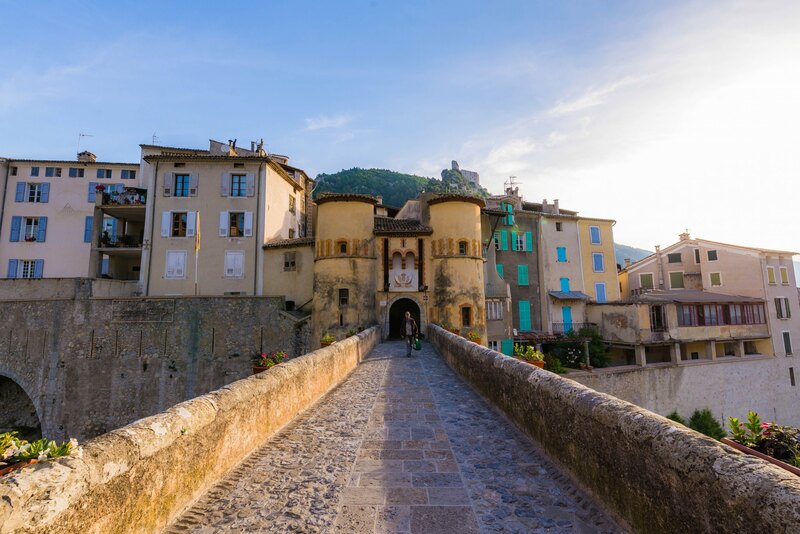 Located where the former provinces of the Dauphiné and Provence met, Sisteron was often coveted and was fortified early! The unavoidable Vauban arrived in 1692 and planned a series of structures, based on a XIIth century dungeon and XIVth century ramparts. In XVIIIth and XIXth century, each time the town was modernized, Vauban’s plans were used. Seyne, located on the former northern border of Provence, overlooking the Blanche valley, also benefited from Vauban’s strategic advice. On his request, the town was equipped from 1693 with a big tower and bastioned towers, and its ramparts were consolidated. The engineer Vauban came to inspect the fortifications of Saint-Vincent twice, in 1692, and in 1700. In 1873, in the scope of the general rehabbing of border defence, Saint-Vincent was enlarged, probably as a rear-guard for the bolt of Tournoux. From 1879 to 1887, the site was made into a sort of « fort kit ». The fort is not open to visits (private property), but the little village of Saint-Vincent-les-Forts, perched like an eagle’s eyrie, is well worth visiting for its breath-taking view of the lake of Serre-Ponçon. 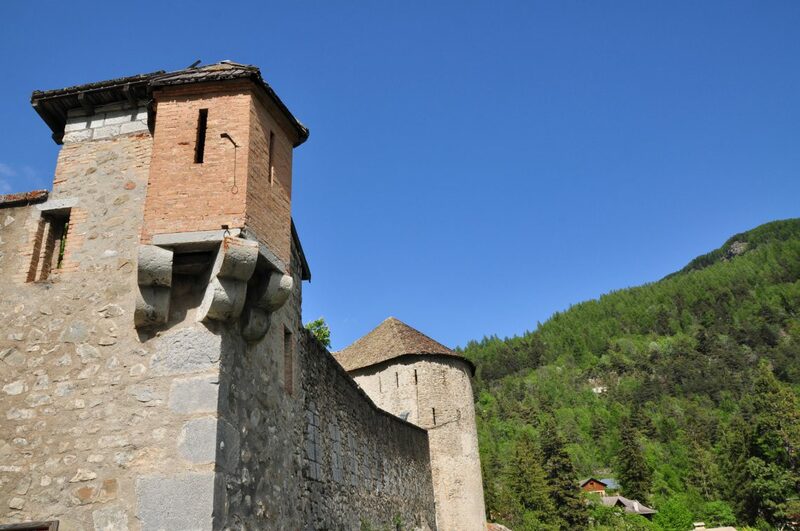 Perched on a rocky spur, where the Ubaye and Ubayette valleys meet (access to Italy), the buildings of the fort catch your attention by their size and their almost Tibetan implantation over a height of nearly 700 m.
The forts of Haut-Saint-Ours and Roche-la-Croix in the Ubaye valley The first was built between 1930 and 1936 and the second between 1931 and 1940, and they are the two most important structures on the Maginot line in Haute-Ubaye. They were run like mountain submarines. Formidable and efficient, they were the bolt that resisted perfectly in June 1940. 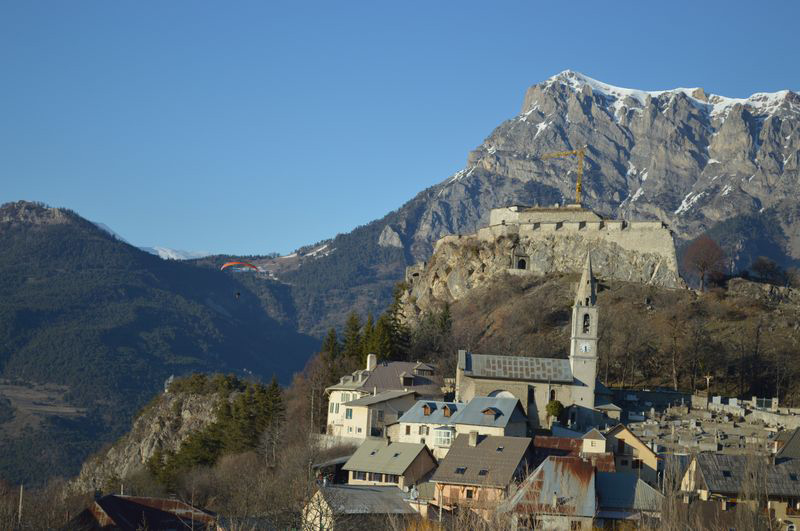 Nestled on a mountain plateau, it watches over the French-Italian border in cross-fire with the fort of Roche-la-Croix. It is one of the biggest structures of the Ubaye Maginot line, which protected the border from the Alps to Menton. At 1900 m, on an overhang above the road for the col de Larche and opposite Saint-Ours bas, the Roche-la-Croix Maginot exhibits its only artillery block. This is the most imposing fort in the valley.